Technology Assistant covers all the latest and upcoming updates on Computer, Internet, Mobile Phone, Hardware and Software. 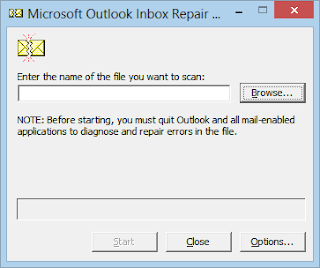 How to Fix Outlook 2010 crashing on startup? Updating the older version of Outlook to the new Outlook 2010 can be this much annoying, I have never ever think about it. However, the software upgrade always helps to add up more and more advanced facilities in comparison to the previous versions. But, it could freeze the existing facilities of the software often. The similar case was there when I have switched to Outlook 2010. I was trying to start the Outlook profile but Outlook 2010 was not responding. The multiple restart operations also not worked for me and Outlook 2010 kept crashing repeatedly. Such type of problems are being encountered by Outlook 2010 users. On the other end, such concerns can also show errors like Outlook 2010 PST file is not working. These problems are just to make the PST files unreadable. In this type of cases, you become clueless and keep thinking why Outlook 2010 crashes on startup. You can also face this error while working with Outlook when you try to import a PST file. And when such a situation occurs it becomes a priority for you to get it fixed as soon as possible. The simple reason being, the sooner you get it fixed the sooner you will be able to resume your work in Outlook. Fair enough, here in this blog we present to you the 5 best ways to solve this Outlook PST error. But before that let us know the causes that lead to this error. The reason being, the causes play a great role in taking right and corresponding approaches to fix the error. Do You Know How ScanPST.exe is important for Microsoft Outlook users? Let’s see the most common reasons of PST file corruption. I have spent a whole day to find the fix for this Outlook Error “The attempted operation failed. 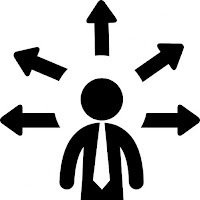 An object could not be found” and now I have got the troubleshooting steps. Here I have gather 5 tactics to exclude this error. Outlook by default stores all its mailbox data into a single file that is “PST” file. It stands for Personal Storage Table. It is obvious that when the Outlook stores data in PST file the size of the PST will get bigger. User finds it difficult to deal with bigger PST File.